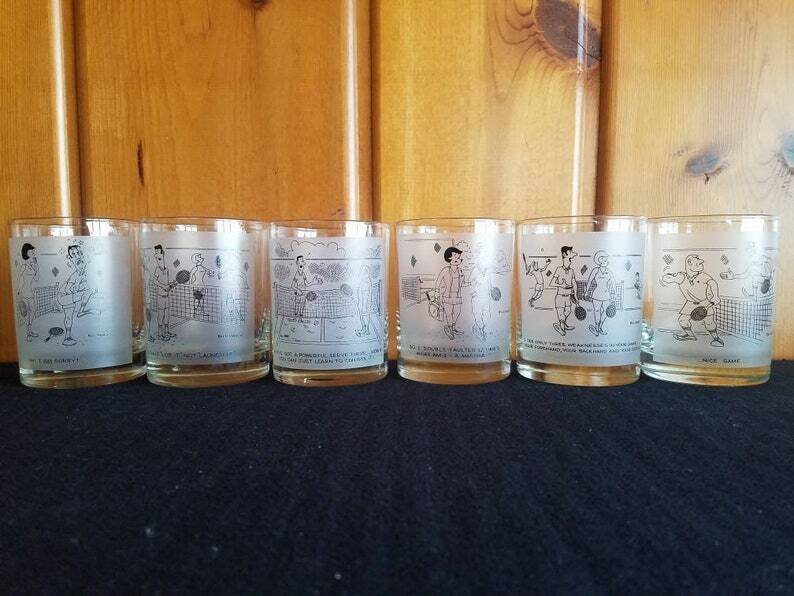 Set of 6 different cartoonist Bill Davey lowball glasses. They have six different tennis themed cartoons with frosted white glass. This barware will be sure to please you tennis lover. Please see photos for all the captions.